Earn real cash completing tasks around town on your mobile phone. Work where you want, when you want. Start earning today! Why join the SmartRocket Crew? It’s your choice – do as many or few tasks as you like. Choose from tasks taking anywhere from 2 minutes to 2 hours – and be rewarded accordingly. We’ll help by ensuring that tasks fitting your experience level are regularly available. Registration takes just a few minutes and you’ll get all the training you need via the App. Your SmartRocket Account balance is always shown in the App – do tasks, then collect your payment with the press of a button. 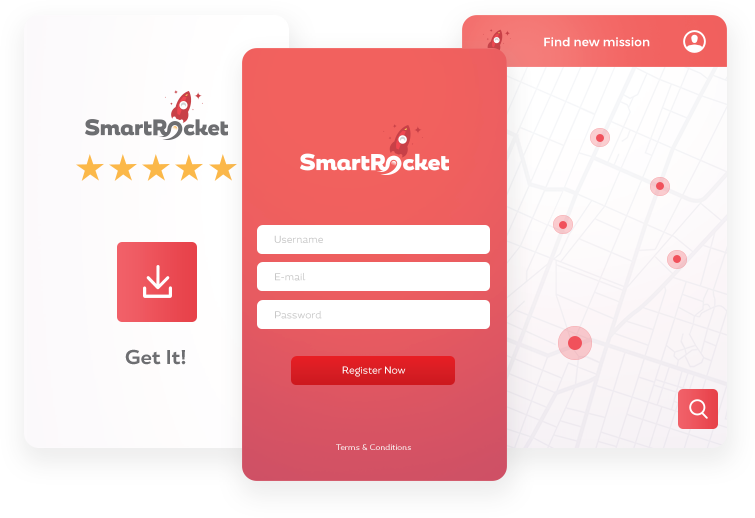 SmartRocket is a mobile app for Android that allows you to find, claim and complete quick tasks in your area for payment. The tasks typically involve visiting a store or supermarket and doing a quick stock count or price check for a specific item(s) and taking a photo or two. Tasks generally take between 2 to 10 minutes and pay accordingly. Clients can see the results of our work in real-time which provides them improved visibility and allows them to take make quicker, better-informed decisions. “Simply click the Cash Out button in the SmartRocket app. Depending on country, most payments are made on the same or next day. PayPal and Alipay accounts are quick, simple and free to create and can be created before or after completing SmartRocket tasks. Do I have to make any purchases? No. The SmartRocket app is free and tasks do not usually require product purchases. How do I contact SmartRocket support? If your questions are not answered here you can also access Support from within the SmartRocket app by tapping ‘Support’ in the main menu.